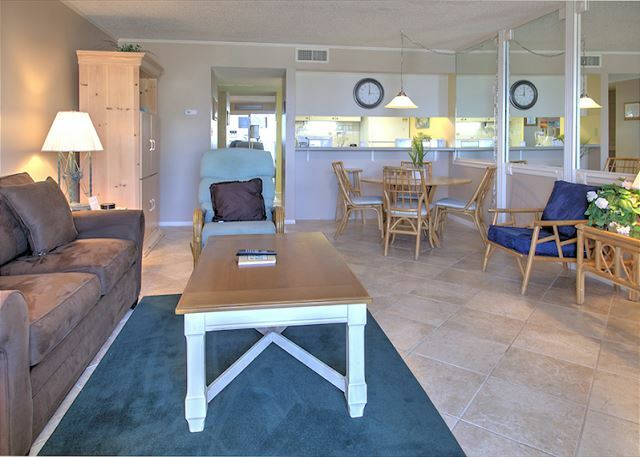 This 1 bedroom unit sleeps 4 with a king bed in bedroom and a sofa sleeper in the living room. Unit was recently upgraded in April. 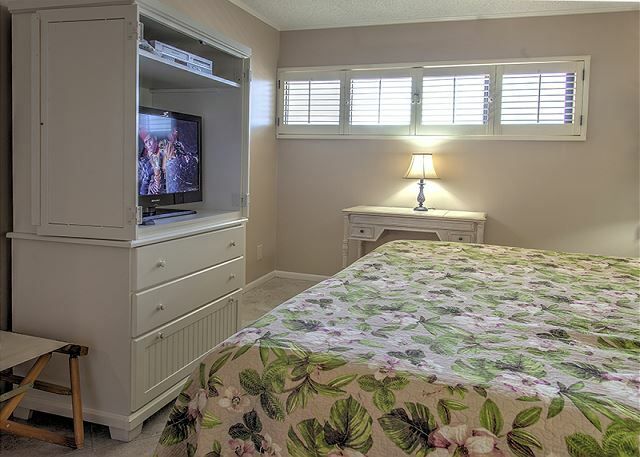 New big screen TV, dining and living room furniture, patio furniture and freshly painted walls with tile floors throughout. 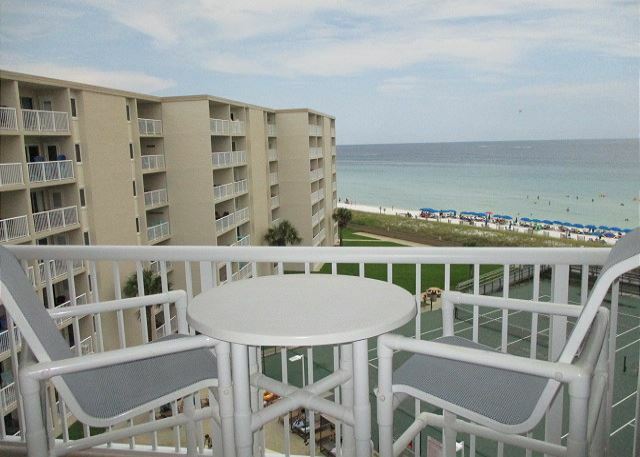 Enjoy the magnificent views of Destin`s beach from your large private balcony. 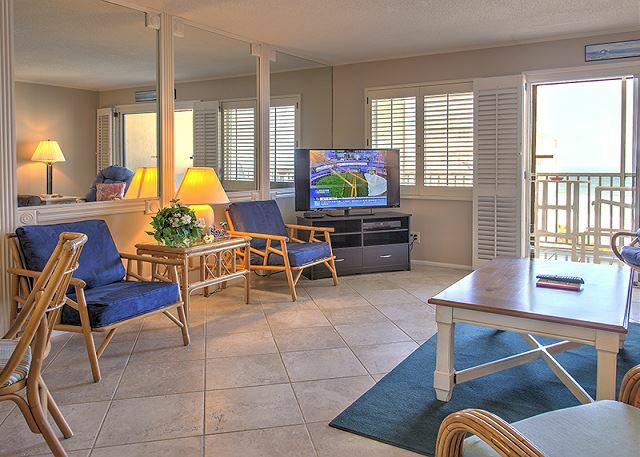 The pool, sport courts and complimentary beach chairs are just steps away from the white sand. Make your reservations today! 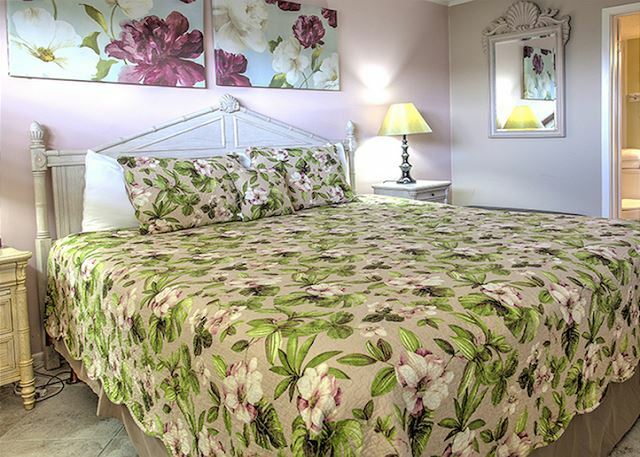 Take advantage of Xplorie excursions to enhance your vacation. We had a great experience at Holiday Surf and Racquet Club. We will be back! 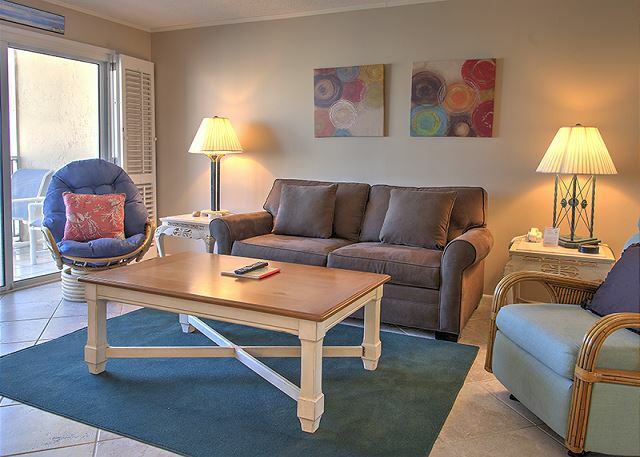 Awesome family of 3 condo! Elavators & ramps @ Boardwalk are great for handicap or elders. Nice shaded tables with umbrellas @ pool. Free dvd rentals. Husband enjoyed 2 days fishing on charter boats in the Gulf & a ride on the Sea Blaster FREE! Would love to visit again soon! 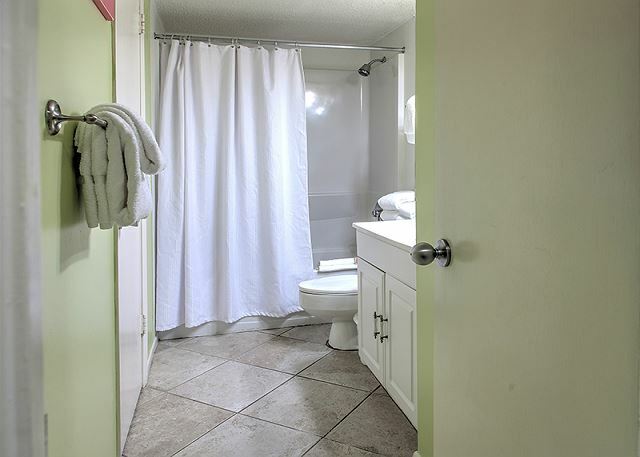 It was very clean, friendly staff and close to the beach at a reasonable price. It was nice to be able to get 2 beach chairs and an umbrella everyday and set up for u without the hassle of worry about if they would run out of them and the cost of renting them everyday. The view from the balcony was gorgeous. 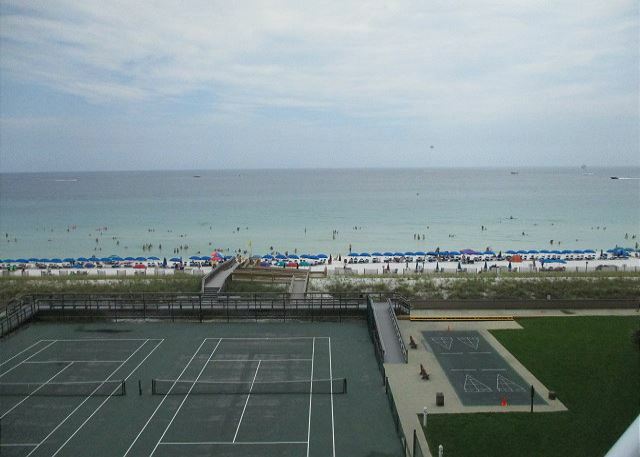 We love Destin and we vacation there every year. 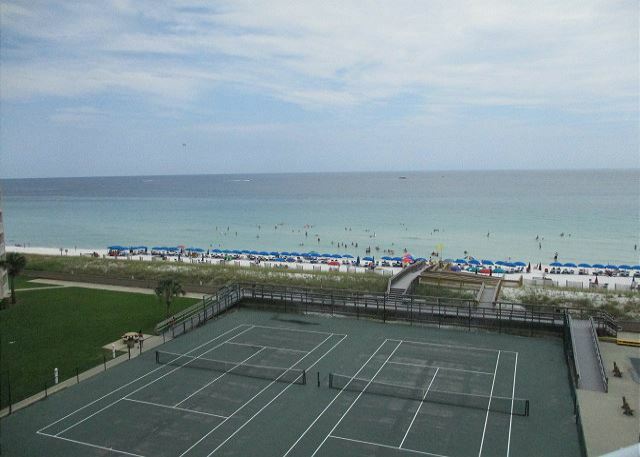 I had not stayed at Holiday Surf and Racquet in years and decided to try it again. We had a great stay. The unit was nice and very comfortable. We did have a problem with the plumbing. The shower didn't drain properly and the dishwasher didn't work. I was dissatisfied with the "smoking" area. I was there with my two kids and I didn't love leaving the condo and not being able to smoke on the balcony. The office was friendly and the lobby had been updated, it was beautiful. Awesome rental at a great price! 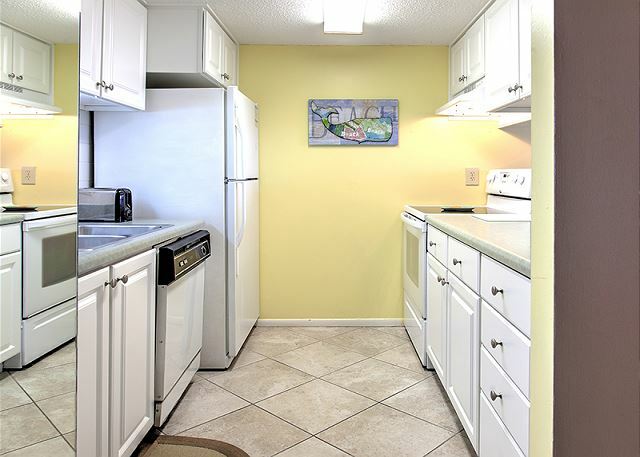 Condo is exactly as picture, clean, and with wonderful views. 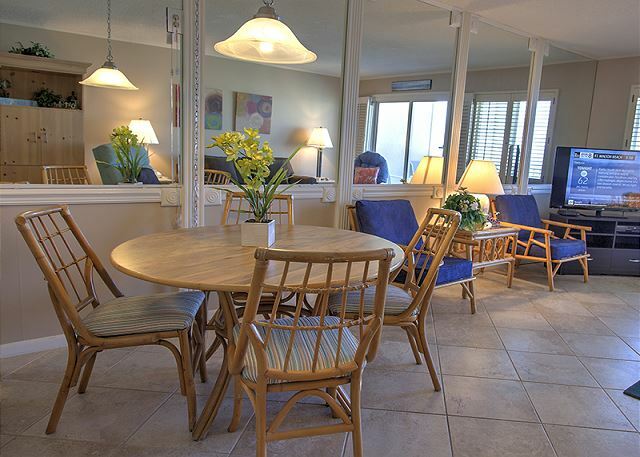 Holiday surf and racquet offers great amenities such as free DVD rental kiosk, chair/umbrella, dry saunas, and a nice pool/tennis area!